A Day Dreamer's World: Yearly Wrap Up: Achievements, Not Reaching Goals and Thank You! Yearly Wrap Up: Achievements, Not Reaching Goals and Thank You! 2013 has been an amazing year, and I'll admit, I will be very sorry to wave it goodbye when the clock strikes midnight tonight. From getting nominated for a Journalism Award and getting to travel to the Royal Society in London for the competition final, to becoming a published-poet and seeing my review featured in an actual book, to making friends through blogging that have become huge parts of my life because they make my day, every day, I really have loved this year. 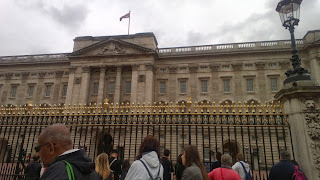 I finally got to see Buckingham Palace! That Police Man was laughing at my awkwardness! Some of my favourite moments blogging-wise this year have been: Reaching my 25,000 pageviews and finally seeing '100 followers' on my side-bar, how well-received my week about anti-bullying was and seeing other bloggers share their experiences and being confident enough to do so and meeting new bloggers and becoming better-friends with the one's I knew last year. It's a crazy feeling but, as my first full-year of blogging comes to a close, I know it's been a good one! Joining Twitter was one of the things I did this year and I never thought it would have such an impact on blogging but, it has! I've also received a lot more ARCs than I did previously, which I'm always extremely humbled to receive through the post, because it means the publisher actually trusts me enough to write an honest review. To achieve something I have never achieved in before. 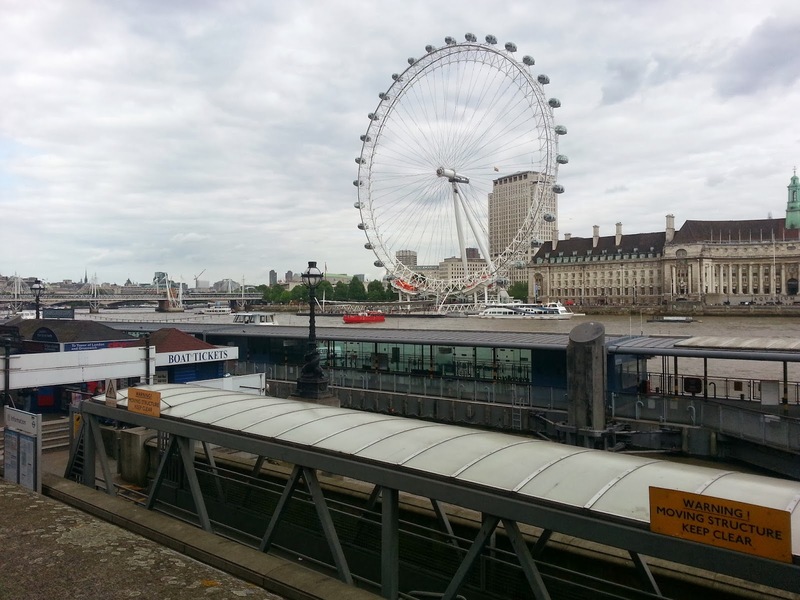 Join a club or group where I can meet more people whether it is a writing club or drama. Read a different variety of books and genres including the classics. Finally read the Harry Potters! Write more. Possibly write a novel-however short it may be. Achieve in school: work hard, get good levels, do well. Be more confident-be more comfortable in different situations and in-front of my peers. A really important one for me is to stand-up for myself. I always feel like I allow myself to be picked without saying anything because I'm naturally afraid. In terms of achievements, most of them have been in blogging and writing, which is something I'm really proud of. I haven't done any new this year, as I haven't had time to fit-in anything else but what I love around school, so there hasn't been time to achieve in something I never have done before. 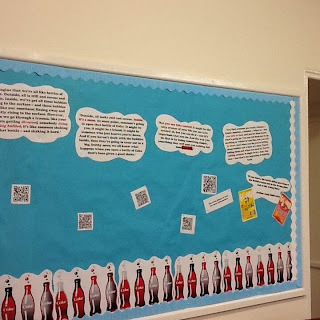 Even so, I did join a Writing Club at school, and despite knowing everyone there already, and spending most of the time chatting, I haven't discovered new competitions and things from there that have been fun to do! I managed two classics this year; not exactly many, or what I had planned, and one of those I had to read for school. I know a lot of people will be wondering why, so sorry, but I still haven't managed to read the rest of the Harry Potter series(I've read one and two)! I think I've half-achieved in these so, 2014 is one where I'm setting goals that I hopefully can reach! There are a lot of people who have made these things happen though: the publishers that continue to send me books, and wait until I finally get around to reading them, the authors who supported my 'Anti-Bullying Blog Week' and made it the most rewarding thing I have ever done, and something I'm excited to be continuing in 2014, to the bloggers and readers who take the time to read what I still believe is the complete-rubbish I write, and leave comments that make blogging something I enjoy even more. Yes, at times it is stressful and hard-to-fit-in, even I have thought to myself wouldn't I rather be reading a book, instead of blogging about a book? The answer to this question is clearly no, but more than anything else this year, I've realise doing something you love takes a lot of work. Work though, that does pay off and makes you feel like it was all worthwhile - whether you feel that by seeing a comment, going to an event or getting a book through the post. A huge thank you to: Amber, Hawwa, Charli, Jack, Sunny, Ruby, Georgia, Zoe, Rita, Erika, Orli, Kyra and Lucy for chatting to me endlessly on Twitter, and being your normal, hilarious selves! You are fantastic and have been a huge part of my year. Happy New Year, I hope you read amazing books and attend lots of great events! I'm sure at some-point I have missed someone out, but thank-you to every blogger for being-bookish! Also, thank you to: Dom, and the rest of the team from Nosy Crow, everyone at Hot Key Books, Curious Fox publishers and the rest of Team Fox, Bloomsbury and Harper Collins for sending me review-copies of books this year, and other things including bookmarks, posters and chapter-samplers for school-displays! Finally, I wish I could give cup-cakes to all the authors who have simply said "Thank you!" after I have written a review of one of their books, allowed me to interview them on this blog, have talked to me on Twitter or been a part of #AntiBullyingBW. Thanks to Siobhan Curham, Andy Robb, Holly Smale, Kate Maryon, Natasha Ngan, Emma Pass, Sharon Sant, Cathy Cassidy and Jackie Buckle for supporting my blog! Happy New Year, everyone! I won't be back until Next Year...so, see you then! Happy New Year, Sophie! I'm so glad you had a great year, and I definitely think that you achieved SO many things this year!! Thank YOU, for being there to talk to on Twitter, I'm SO excited to meet you at Hays!! Happy New Year to you too, Rita! Thank you! No problem, I'm super excited to, it's going to be amazing with all of us there! 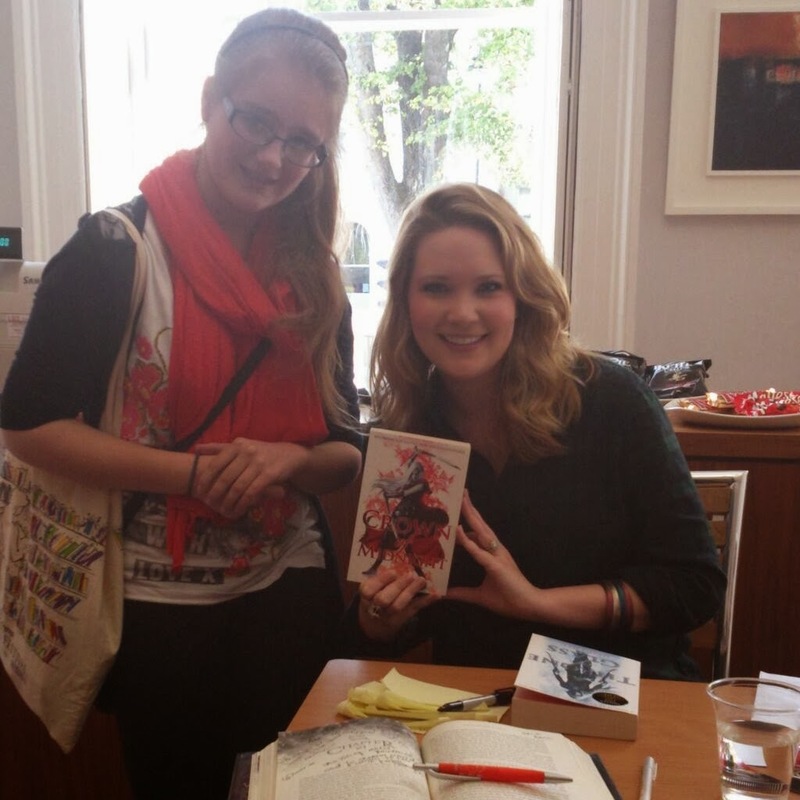 That is Sarah J. Maas you see! I went to one of her events back in October; and probably embarrassed myself because I was so excited! That policeman...he was laughing at me as I'm not that photogenic! Thank you, Rachel! I've loved reading your posts too! Happy New Year to you, Amy! I hope I do too; I wish everything wasn't so busy so, I could get around to them! I'll definitely try to get around to reading them! 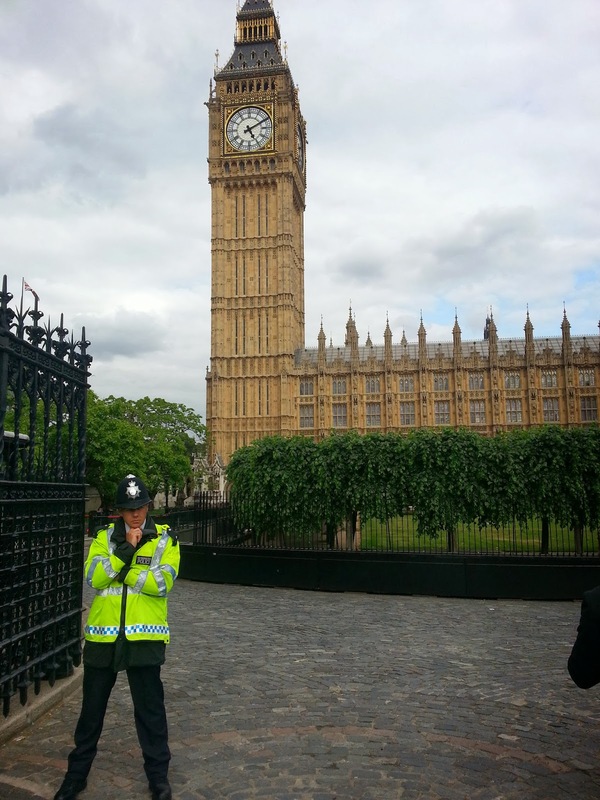 The policeman was laughing at me because I was so awkward while having my picture taken in front of Big Ben! Thank you, I didn't win though, just nominated, but never mind! I was so nervous when meeting her - as she's my favourite Fantasy author, but she was lovely! No problem! I just love the whole community! Have a good year too!